The latest issue of Time is a special one. 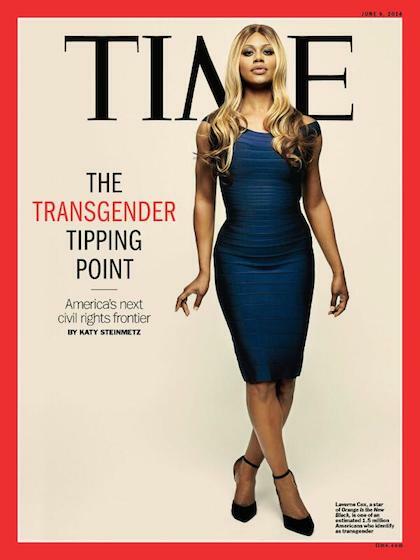 The cover is a photograph of Laverne Cox, the talented — and transgendered — actress who stars in the hit Netflix show Orange is The New Black. Eventually a major magazine featuring a transgendered person on its cover won’t be a big deal, but for now, it is.